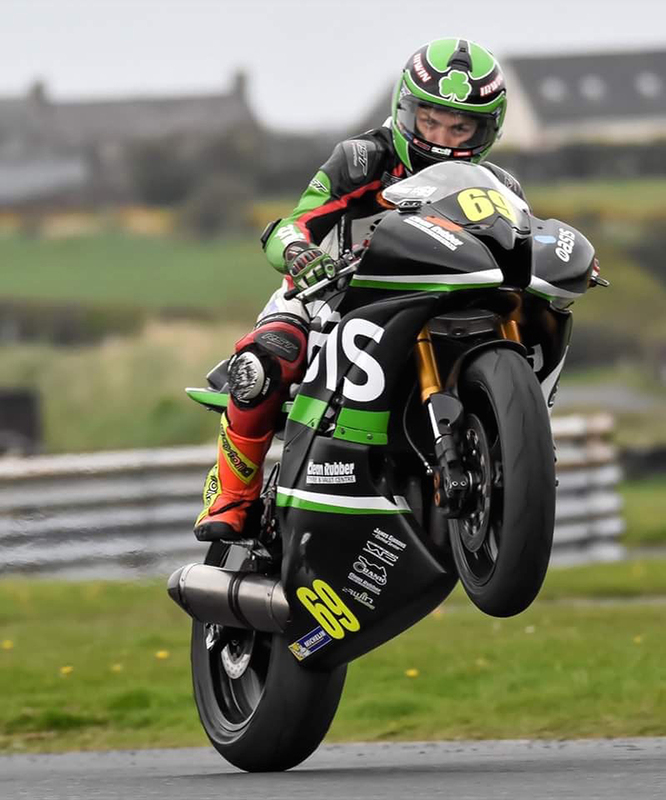 Donegal racer Caolán Irwin and his family run team, Irwin Racing, made a sensational home debut at the opening Irish Championship rounds of the season at Bishopscourt on Easter Saturday. The Supersport rookie dominated the ‘Cup’ class for less experienced racers, taking two wins while running as high as fourth in the overall Irish Championship races. Having started the season with two tough weekends in the Thundersport UK series Caolán was looking forward to his first Irish race of the season and was on top form from the word go. Qualifying could not have gone better as the Oasis Bar Letterkenny Yamaha took the Supersport Cup pole by almost one and a half seconds, with a time good enough for tenth overall. The Kilmacrennan teenager’s strong performances continued in race one, as he ran with the leaders for the early part of the race, well clear of the other Cup riders. Having initially kept up with the far more experienced Pro grade riders around him, Irwin then eased his pace to ensure he took the Cup victory and finished in eight place overall with fastest ‘Cup’ lap. Race two followed the same pattern with the Irwin Racing machine in the thick of the Pro action well ahead of his Cup rivals. For the second race running Caolán took the win along with fastest Cup lap, a winning margin of more than seventeen seconds and another top ten overall finish. Next up for the Irwin Racing team will be a return to Thundersport As the championship moves to Snetterton at the end of this month, followed by the team’s first 2017 appearance at the Masters Superbike Championship at Mondello Park in early May. For more information on Irwin Racing see www.irwinracing.ie or follow the teams riders Caolán and Rhys on Twitter and Facebook.